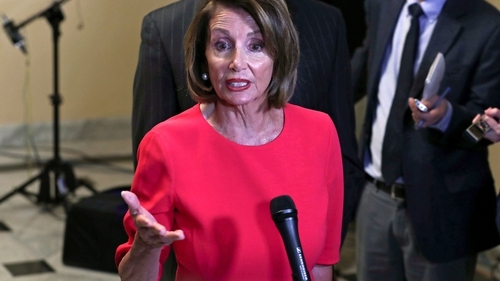 US House of Representatives speaker Nancy Pelosi has said there would be no chance of a US-UK trade deal if there was any weakening of the Good Friday Agreement. Speaking at the London School of Economics this evening, Ms Peolsi said the Good Friday Agreement was a model that could not be "bargained away in another agreement". She said passing a trade bill in the US Congress would be very hard and was "no given". She added: "First of all it is very hard to pass a trade bill in the Congress of the United States, so it's no given anyway. Ms Pelosi said she had met Labour leader Jeremy Corbyn and senior Tories, and had spoken to Prime Minister Theresa May on the phone. She said, "we made it clear to all that if there's any harm to the Good Friday accords - no trade treaty." The comments come ahead of a visit by Ms Pelosi and a US Congressional delegation to Dublin tomorrow.